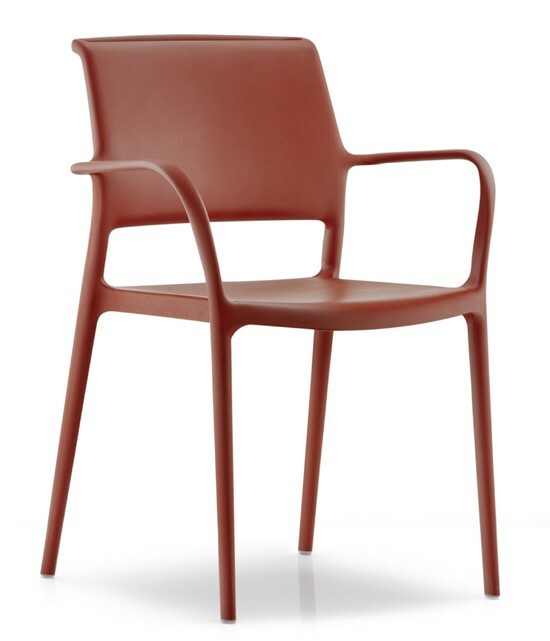 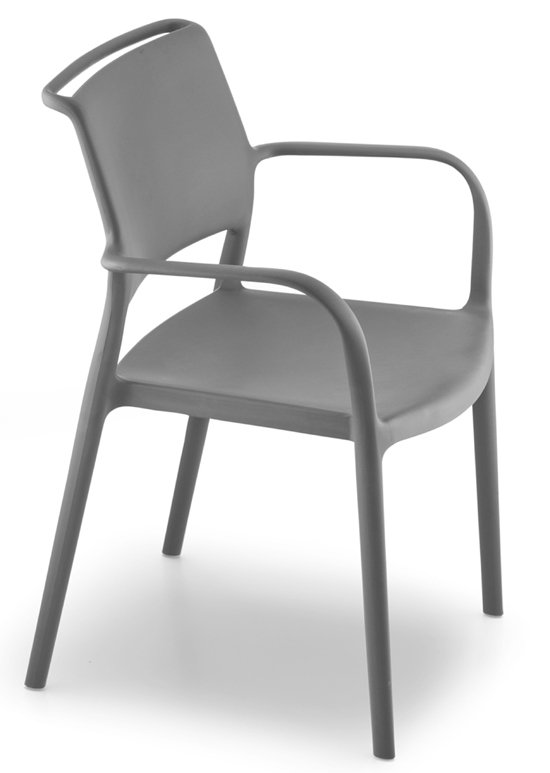 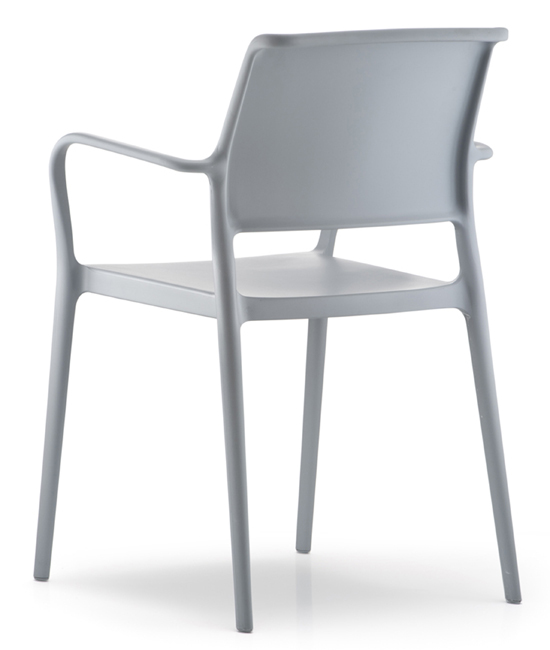 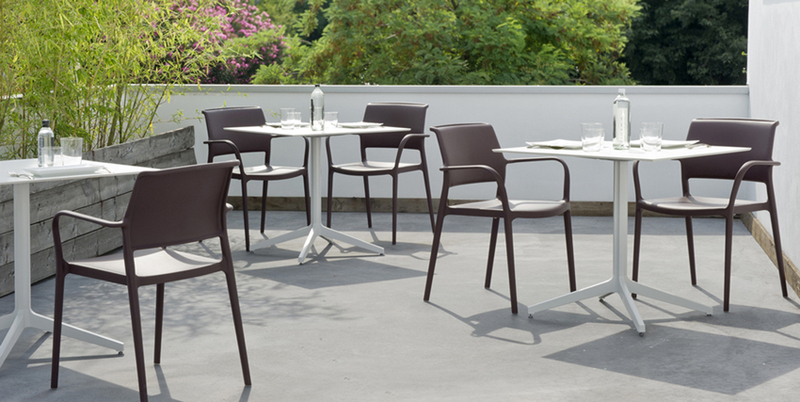 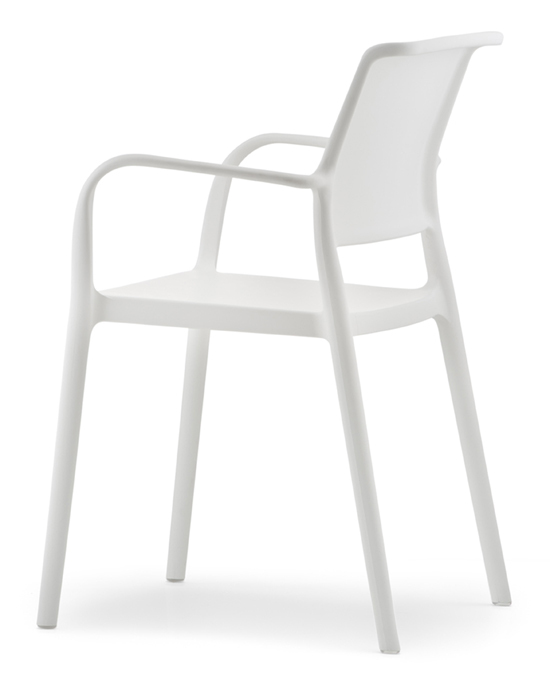 A moulded polypropylene chair reinforced with fibreglass, stackable and suitable for use indoors and outdoors. 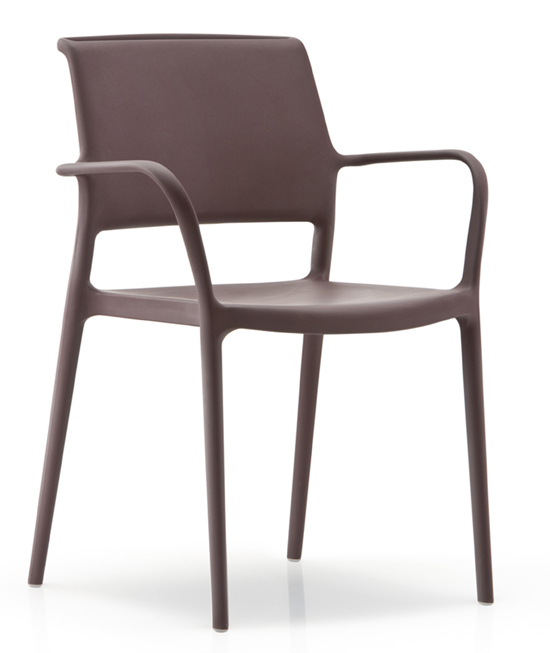 The tapered legs give an elegant, light feel. 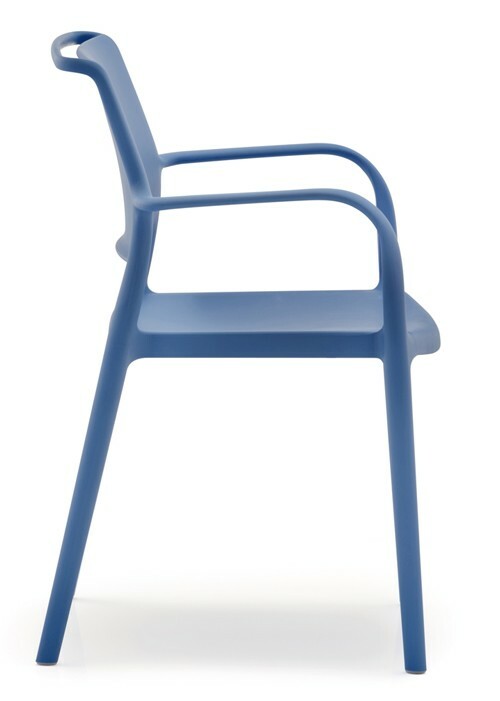 The upper part of the back forms a handle for easy lifting, and gives the chair a distinct character. 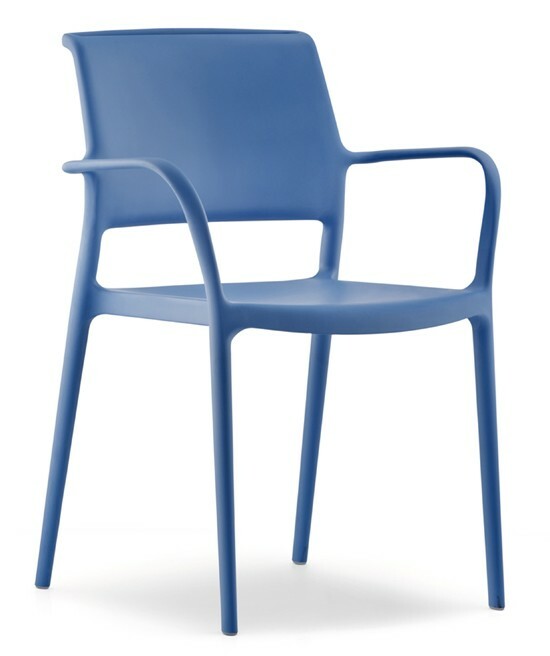 Also available without arms, see related products below.